As part of Xbox One’s first birthday celebrations, they are offering all Xbox Live subscribers the chance to play Insomniacs third person “awesompocalypse” shooter for free, for 24 hours. Major Nelson made the announcement over on his site. “Beginning Saturday, November 22nd at 12.01 Eastern Time” (5PM UK TIme)“Xbox Live Gold members on Xbox One will get to play Sunset Overdrive for free for 24 hours. This is the full game; players will earn achievements and be able to save how far they progress during that 24 hour span. If you decide to purchase the game at a later point, you will be able to start again right where you left off. 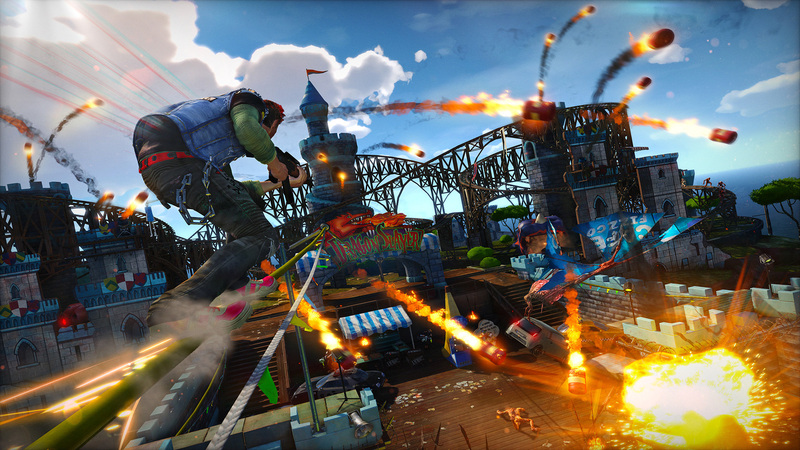 Sunset Overdrive’s 8-player cooperative multiplayer experience, Chaos Squad, will also be available for everyone tomorrow. Please note: Chaos Squad must be unlocked by playing a certain amount into the campaign. I can confirm that this game is awesome fun, and you should definitely take advantage of this offer if you have the time to!